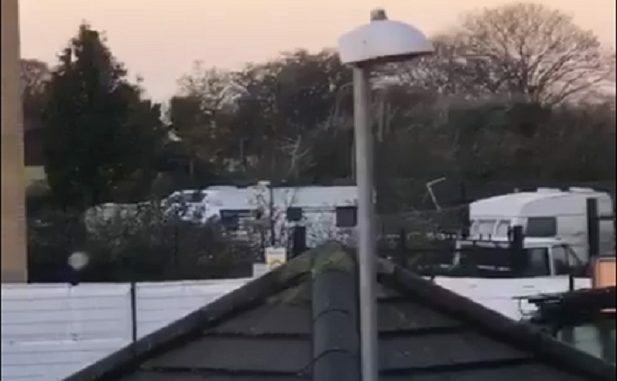 Kent Police has been called twice to a Travellers’ encampment in Ramsgate this month (November) but says officers have no powers to ask the group to move on. Reports were made on November 7 and November 13 after the travelling community settled on land at the rear of houses in Meridian Close. Around seven vans are currently onsite. The land, formerly a car storage area and allotments did belong to Thanet council but was sold in November 2017. It now belongs to a private developer. TDC say they have been attempting to contact the owner and make them aware. Residents say there are some issues with rubbish piling up and noise. The Friends, Families and Travellers (FFT) group say there is a chronic national shortage of Gypsy and Traveller sites and available stopping places in the UK. The group’s research shows there has been only been a 2% increase in socially rented pitches available between 2010 and 2017. They say a government fund aimed at helping local authorities provide pitches, the Shared Ownership and Affordable Homes programme (2016-2021), has not had a single application. Would the responsibility for a site be with KCC or TDC? There are hundreds of caravan sites up and down the country with plenty of vacancies (especially at this time of year) – but “travellers” don’t want to pay to stay on those . . . Sorry, I meant a designated site. There are no vacancies on current KCC sites, and no sites east of Canterbury.